If Amazon does announce a tablet this week, as anticipated, it needs to nail one thing really well if it wants to succeed—and that is to make the tablet's look, feel, usability, and design rock-solid. Why? If the new tablet doesn’t nail the interface from the get-go, it will have a hard time being anything more than a me-too tablet. This is a big challenge for the e-commerce powerhouse whose lack of either aesthetics or well-presented user interfaces has been its Achilles' heel. With its e-commerce platform, its hooks into selling digital media, and its own Android app store, you'd think success would be a given. Well, not so fast, Amazon. Image of first-generation Kindle running Android OS (as the Kindle Tablet may). To begin with, let's just say I hope a Kindle tablet doesn't take design cues from the Kindle e-book reader. Nothing about Amazon’s Kindle e-readers screams style. Nor does the interface make it easy to do things. With the most recent version of Kindle, some options seem buried under menu layers, or require more clicks than you’d expect. And for years, I've been surprised by how much Amazon has gotten away with, be it in the text-heavy design of the Kindle menus, or the stark navigation of its website, which makes the experience of finding and managing digital content a tedious click-fest. Interface aesthetics have always felt like an afterthought for Amazon. By comparison, the fresh, visual interface of Barnes & Noble's 2011 Nook makes the third-generation Kindle (circa 2010) feel flat and staid—even though one would have thought that by this third generation, Amazon would have been able to turn its attention to niceties like interface aesthetics. Even recent Amazon products that complement its own tablet have stumbled when it comes to interface design. Amazon's music Cloud Player is functional, but can be frustrating to use, and lacks any sense of design. I’ve had similar experiences with the current Amazon shopping and music store apps on Android. Just like the Android Cloud Player, both the Android and iOS Amazon shopping and music store apps fail to provide the level of flexibility and integration consumers have come to expect thanks to Apple. Look and feel has never been Amazon’s strong suit. Amazon has always excelled at its behind-the-scenes technology. Its recommendation engine is famous for getting us to buy just one more thing, and its One Click-Payment system and ability to track things bought online make it the darling of e-commerce sites. Match those capabilities with a killer, aesthetic interface, and Amazon could have a winner. Two versions of the Kindle. The one exception to my Amazon interface frustrations is its Kindle apps for iOS and Android. The apps are not perfect, but they do go far in showing that Amazon is capable of giving thought to, and executing, well-designed, visual products. The hat trick with an Amazon tablet will lie not with whether Amazon can offer a device that integrates its storefront and services—that's an easy bet, and a foregone conclusion given its history with Kindle e-readers. The real question is whether the company can produce a tablet with an interface that's natural, visually pleasing, and functionally spot-on for how it will be used by consumers. Apple, on the other hand, has been a master of interfaces—it designs its software to work smoothly with its hardware. And it does so with an unmatched attention to detail. Clearly, part of the iPad's success can be credited to the clean, easy-to-use interface of the tablet's iOS operating system. That iconic operating system had years of incubation on the iPhone before it graduated to tablets. Again in contrast to Apple, the Android user interface still feels as if it's in its infancy. Maybe it's good that Amazon has reportedly chosen to follow its own path, with its own customized interface built on top of the Android OS. But that's a big maybe. Amazon exerting its own design independence could be a good thing—or not. Barnes & Noble took an independent design path with its Nook Color. 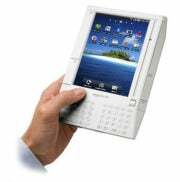 As a result, that e-reader/tablet looks nothing like Android, but is. Barnes & Noble did a great job tailoring the reading experience for use on its 7-inch tablet. But Nook Color isn't a full-bore tablet aimed at media and app consumption, as Amazon's tablet apparently will aspire to be: B&N has added some tablet functionality like Web browsing and e-mail, and it has its own app store, but the selection remains limited. We don't yet know what Amazon's interface will look like, and what the requirements will be for apps to work on its tablet—beyond the fact that the apps will come from the Amazon Appstore. Reportedly, the tablet will have no Google Market on-board. If, with this tablet, Amazon can finally make a product that's a standout star with its interface and usability, the tablet has legitimate potential to be a threat to Apple's iPad. But if the company doesn't nail the interface, it runs the risk of offering yet another ho-hum tablet in a crowded landscape, albeit a ho-hum tablet with, presumably, a better-integrated media consumption and e-book experience than most. One can hope.